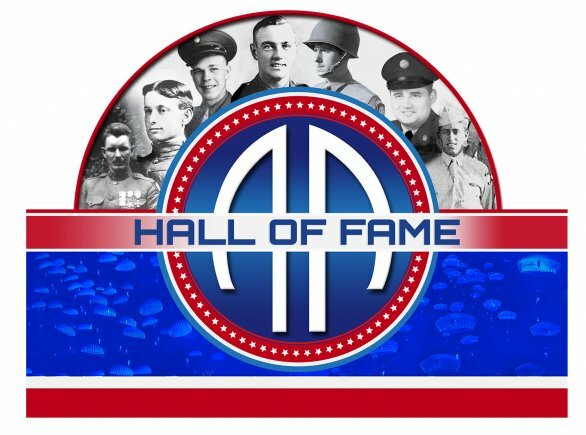 Fort Bragg: On May 23rd, the 82nd Airborne Division will honor the first 20 soldiers to be inducted into the new “All American Hall of Fame.” Thereafter, they will honor 5 outstanding soldiers per year starting in 2019. 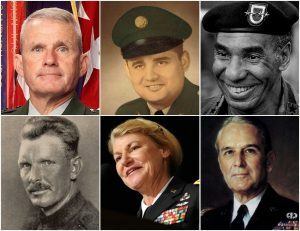 The honors will occur during the division’s “All American Week.” While the week itself has been around for a long time, the Hall of Fame has not. This year will be the inaugural appearance of the honors, according to the Army. 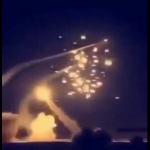 “The 82nd Airborne Division is among this nation’s most iconic institutions and when you are talking about 101 years, 17 campaign streamers and valorous combat action from Meuse-Argonne to Mosul, you are talking about an awful lot of legendary figures.” Lt. Col. Joe Buccino, spokesman for the 82nd Airborne Division. — Retired Gen. John F. Campbell: Throughout a remarkably impactful military career, General Campbell served in a variety of assignments within the 82nd Airborne Division, to include company command and Division Operations Officer. His time in the Division culminated with his command of 1st Brigade, 82nd Airborne Division during a combat deployment to Afghanistan. He would go on to serve as Vice Chief of Staff of the Army and commander of all forces in Afghanistan. — Staff Sgt. Félix Modesto Conde Falcón, deceased: The Division’s only Medal of Honor recipient from the Vietnam War, Felix was killed while leading his ambushed platoon to destroy multiple enemy bunkers. He was posthumously awarded the Medal of Honor by President Obama in 2014. — Pfc. Charles N. DeGlopper, deceased: Charles was posthumously awarded the Medal of Honor for his heroic actions and sacrifice of life during the early stages of the Battle of Normandy in World War II. He was killed while firing from an exposed position to allow his outmanned platoon to withdraw from contact. — Retired Gen. Ann E. Dunwoody: The first female battalion commander within the 82nd Airborne Division and the first female four-star general in American history. She served as division parachute officer during the division’s combat deployment to Operation Desert Shield / Desert Storm. She would lead a remarkably successful military career outside of the division. — 1st Sgt. Leonard A. Funk, Jr., deceased: Funk is a Medal of Honor recipient and one of the most decorated paratroopers of World War II. He jumped into Normandy on D-Day, earned the Distinguished Service Cross for action during Operation Market Garden and earned the Medal of Honor for remarkable actions while leading a platoon of clerks to capture an entire German garrison town during the Battle of Bulge. — Retired Command Sgt. Maj. William Gainey: Gainey served multiple tours within the division, to include serving as a platoon sergeant during Operation Desert Storm. He would go on to serve as the first senior enlisted advisor to the chairman of the Joint Chiefs of Staff. The first SEAC — the most senior enlisted noncommissioned officer in the Department of Defense — was also an All American paratrooper. — Pvt. Joe Gandara, deceased: A recipient of the Medal of Honor and an original World War II paratrooper, Gandara was killed while saving his detachment from enemy fire in Amfreville, France, three days after D-Day. Four decades after his death, President Obama presented his family with the Medal of Honor. — Lt. Gen. James Gavin, deceased: The only American general to make all four World War II combat jumps, Gavin commanded the division’s 505th Parachute Infantry Regiment during the first part of the war and then commanded the division during Operation Market Garden and the Battle of the Bulge. He is among the most revered figures in American military history. — Retired Command Sgt. Maj. Tadeusz “Ted” Gaweda: A Polish-born immigrant liberated from a Nazi labor camp by American GIs, Ted serve as an All American Paratrooper for 18 years, deploying with the division to combat operations in the Dominican Republic and Grenada and serving twice as the command sergeant major of the 3rd Brigade Combat Team. He would go on to serve as the command sergeant major of XVIII Airborne Corps. — Retired Capt. Roy Hanna: Hanna was an original World War II paratrooper who commanded Company G, 504th Parachute Infantry Regiment. During the war, he earned the Distinguished Service Cross, the Italian Service Cross, and the Purple Heart for valorous combat action during the battle of Anzio. — Retired Gen. Daniel K. McNeill: McNeill commanded at the company, battalion, and division with the 82nd Airborne Division. As the division G-3, he jumped into Panama during Operation Just Cause. He would also command U.S. Army Forces Command and served as the commander of all forces in Afghanistan. — Retired Command Sgt. Maj. Kenneth “Rock” Merritt: A D-Day paratrooper who jumped into Normandy on D Day and the Netherlands during Operation Market Garden, Rock was awarded the Silver Star by Gen. Matthew Ridgway. 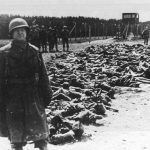 He would go on to serve twice as the command sergeant major of 18th Airborne Corps. — Lt. Col. Emory Jenison Pike, deceased: Pike was posthumously awarded the Medal of Honor for his actions at Vandieres France during World War I. He is the first Medal of Honor recipient in division history and the namesake of Fort Bragg’s Pike Field. — Gen. Matthew Bunker Ridgway, deceased: Ridgway transitioned the division to its airborne configuration in 1942 and led the division into World War II. He is among the most impactful figures in World War II history as well as a critical figure in America’s post-World War II military development. — Gen. Roscoe Robinson, Jr., deceased: Robinson was the first African-American commander of the 82nd Airborne Division and would go on to become the first African-American four-star general in Army history. He was a remarkably impactful leader, both in the division and in the Army. — Gen. Maxwell D. Taylor, deceased: Taylor served as the first chief of staff of the 82nd Airborne Division. During the division’s World War II combat in Sicily and Italy he served as the division artillery commander. He went on to command the 101st Airborne Division on D-Day and would serve as chief of staff of the Army and chairman of the Joint Chiefs of Staff. — Retired Gen. James D. Thurman: Thurman served in the 82nd Airborne Division as a lieutenant and junior captain. He commanded an aero-scout platoon in the division’s 1-17 Cavalry Squadron and later served as an executive officer and squadron assistant S3. He would go on to have a remarkable impact on the Army as a general officer, serving as commander of U.S. Army Forces Command and all U.N. forces in Korea. — Sgt. Alvin C. York, deceased: One of the most decorated American Soldiers of World War I, York is a recipient of the Medal of Honor. During the Meuse-Argonne Offensive, he singlehandedly led a squad to capture more than 130 German soldiers.